Here’s a deal — $46! — on tickets for Wicked (which isn’t my favorite thing in the world, but I know some of you disagree with me). 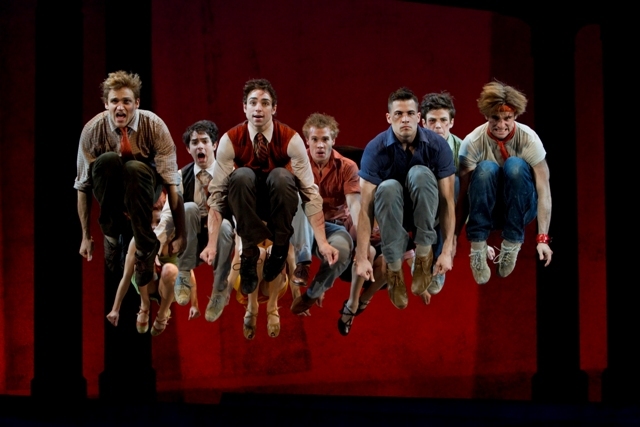 They seethe with it, the teenage boys of West Side Story – with anger, with frustration, with pain. And their girls throb with it too, a feeling that burns inside them and threatens to enkindle their entire city in a mammoth explosion of flame. This is promising news for those of you who are dying to see a handful of the shows coming to Bob Carr this season but aren’t interested at all in the rest. It’s a three-ticket package for the Broadway Across America Orlando series, and it goes on sale this Friday. Or you could see Wicked, Shrek and Young Frankenstein for $139.50 and up. Strip Chicago of its razzle-dazzle, and what have you got? Maybe that’s an unfair question. Chicago is all razzle-dazzle, nothing more, and the hit musical rises and falls on how razzling and dazzling its razzle-dazzle can be. If you’re a big Spring Awakening fan — or if you’re thinking you might become a big Spring Awakening fan — now’s the time to know that tickets for the national tour’s stop in Orlando go on sale at 10 a.m. Friday.